Your insurance is based on the information provided to the insurance company and you must ensure that all such information is complete and accurate, and that any facts that may influence the insurer’s decision to accept and pay a valid claim are disclosed. Failure to disclose material information may invalidate your insurance and could mean that part, or all, of a claim may not be paid. We reserve the right to retain insurance certificates at our office until all payments due under the policy have been made and any cheques have cleared through our bank account. Please refer to your policy summary or your policy document if you need to notify a claim, alternatively call us or email us to obtain the relevant details. You should contact the insurer direct as soon as possible using the contact details provided. If you have membership of our Motorists Legal Assistance scheme and wish to claim for losses not covered under your motor insurance policy, please contact our office. Payments by Close Premium Finance schemes are due strictly as per their terms and conditions. When you decide to take out a policy that is arranged by us, by accepting the premium you agree to pay the following scale of charges. In this respect a renewal is considered to be the same as a new policy, although it may be with the same insurer. These charges are in addition to any made by the insurer themselves. Charges will be notified to you prior to the commencement of the policy. Broker Installment Charge – As per Close Premium Finance Agreement Charges on premiums exceeding £2000 – negotiable. Broker Mid-Term adjustment charge – 30% of the additional premium charged by the insurer subject to a minimum charge of £35.00. We reserve the right to make a charge on New Policies and Renewals of up to 20% of the premium charged by the Insurer. However, on some low or nil commission policies we reserve the right to charge a higher rate. You will be advised at the time of quotation if this is the case. Membership of Motorists Legal Assistance scheme – £30.00 Charge for dishonoured cheque – £25.00 RETURN PREMIUMS (Usually arising if a risk is reduced or cancelled). Return premiums will be held to credit against future renewals or new policies unless you request us to do otherwise. On return premiums we repay commission to the insurer and this will be deducted from the final amount refunded to you. If a policy is cancelled we will, if required, refund any return premiums due after deduction of commission and charge. All cancellations are subject to a £35.00 cancellation charge. You may have a statutory right to cancel this policy within a short period. Please refer to your policy summary or policy document for further details. If you cancel on this basis you will receive a pro rata refund of premium from the insurer. We will make a minimum charge of £100.00 to cover our own administration costs for arranging and cancelling the insurance. If you wish to cancel outside the statutory period you may not receive a pro rata refund of premium. Our normal cancellation charges and deductions will also apply. It is our intention to provide a high level of service at all times. 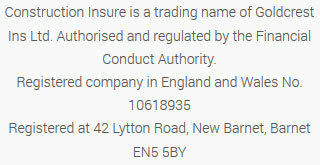 However if you have reason to make a complaint about our service you should contact The Branch Manager at the address shown on this document. If you remain dissatisfied, you should write for the attention of our Managing Director at the branch address. You may be entitled to refer the matter subsequently to the Financial Ombudsman Service. Further information is available at www.financial-ombudsman.org.uk. Prior to your premium being forwarded to the Insurer, and for your protection, Bluefin Broker Network handle our client money and once either received in full from yourselves or via Close Premium fiancé the insurer is then paid. However your money will be protected at all times because of the requirements of the FCA rules. We also reserve the right to retain interest earned on this account. By accepting these Terms of Business you are giving your consent for us to operate in this way. We are covered by the Financial Services Compensation scheme. You may be entitled to compensation form the scheme if we cannot meet our obligations. This depends on the type of business and the circumstances of the claim. Insurance advising and arranging is covered for 100% of the first £2,000 and 90% of the remainder of the claim, without any upper limit. For compulsory classes of insurance, insurance advising and arranging is covered for 100% of the claim without any upper limit. Further information is about compensation scheme arrangements is available from the FSCS at www.fscs.org.uk.